Under the U.S. Occupational Safety and Health Administration’s (OSHA) recent General Industry Walking-Working Surfaces and Fall Protection Standards final rule, employers are now required to ensure that workers who use personal fall protection and equipment are trained about fall and equipment hazards, including fall protection systems. The correct use of personal fall protection systems including, but not limited to, proper hook-up, anchoring, and tie-off techniques. In addition, the final rule requires employers to train each employee on equipment hazards. This required training includes training as to the proper care, inspection, storage, and use of certain equipment (including, but not limited to, dockboards and rope descent systems) before an employee uses the equipment. 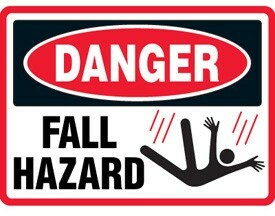 Both the fall and equipment hazard trainings must be presented to each employee in a manner that the employee understands. In addition, employers must retrain an employee when the employer has reason to believe the employee does not have the understanding and skill required by the initial training. For additional information on the final rule and its training requirements, please click here. Previous Previous post: Are You Throwing Money Away on Wrong Hires? Next Next post: Are You Ignoring Expensive Workers Comp Cases?